We know that fish is an excellent source of vitamins and minerals, including the long-chain omega 3 fatty acids DHA and EPA which are important for the brain and nervous system. That is why pregnant and nursing mothers are recommended to consume food high in DHA and EPA. Fish contains an important trace mineral, selenium, which protects the brain from oxidative damage and the body from mercury toxicity. 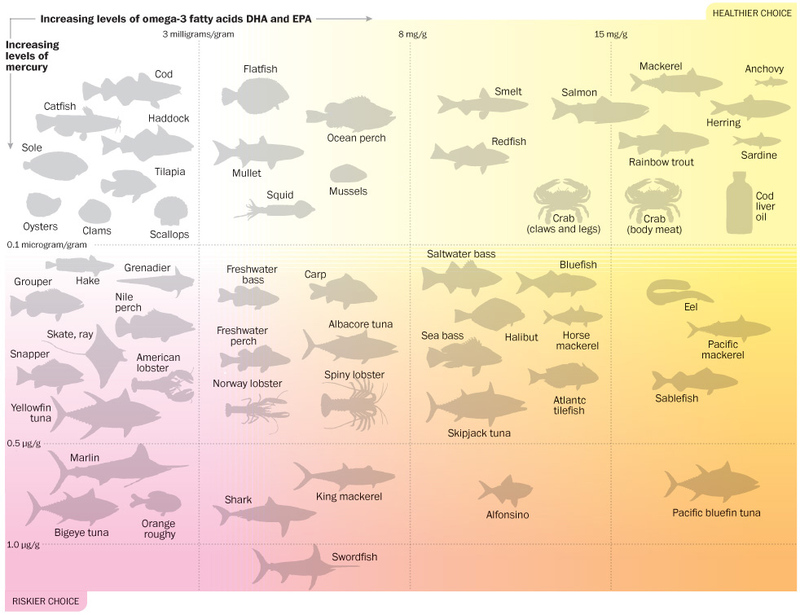 Most ocean fish contains more selenium than mercury, while freshwater fish contains selenium and mercury in varying amounts, depending on their geographic locations. You can read more about fish and mercury toxicity here. We are probably already deficient in omega 3 fatty acids because we consume too much omega 6's from vegetable oils and processed foods. It's the more important that we consume enough (wild ocean) fish in our diets, especially knowing that our body cannot produce the long-chain omega 3 fatty acids DHA and EPA as it can only be obtained exclusively from seafood. What Fish to Buy or Eat? - Wild ocean fish is preferable. 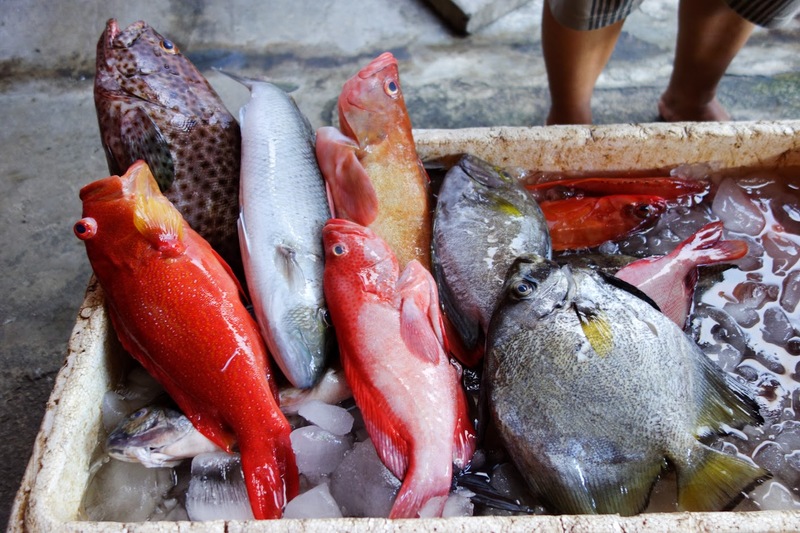 Farmed fish generally contain less nutrients, may be contaminated and include toxins. - Fish that is in season. - Frozen wild fish that has no preservatives added. 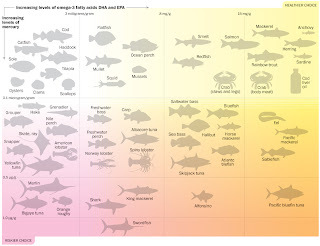 What I learn is that we should not avoid fish because of mercury, although we have to know that some fish are better nutritionally than others, and pregnant and nursing mothers should refrain from eating certain kinds of (bigger) fish that store higher level of mercury such as swordfish, shark, tilefish, and king mackerel. The graph above is a good reference. We now add dried anchovies to make homemade broths. 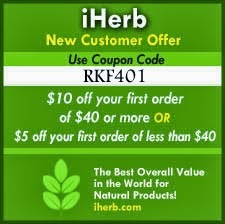 It is rich in omega-3 fatty acids and calcium. My daughter actually eats dried anchovies as snacks (yum). My family has also started taking cod liver oil regularly as it is very nutritious and also to make up for the lack of seafood consumption in our diet. What is your favorite seafood? Would you share your favorite fish recipes please? Thanks for your sweet note, Ci! I've been learning a lot too. Love from all of us!